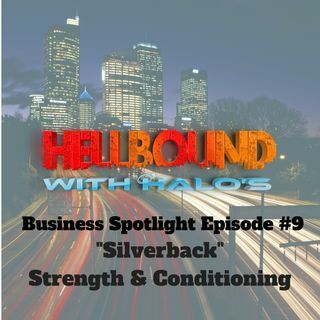 In this next episode of our Business Spotlight Series, Adam from Silverback Strength & Conditioning (www.silverbacksandc.com) joins Kevin & Sully. Adam discusses how he got into fitness and learning the fundamentals behind the strength program he teaches. Sully asks about what the programming involves and whether its with Kettlebells or functional fitness style. He coaches people behind the programming inspiration of Mark Rippetoe, the founder of "Starting Strength". Adam went ... See More through Mark's training course to teach and practice the Starting Strength methodology. Adam goes on to explain that people need a coach when getting into fitness because people don't know where to start or what to do. Kevin asks what movements are included in the Starting Strength programming. Adam states that it's the Squat, Deadlift, Press and Bench. "The fundamentals of strength come from recruiting as much muscle mass as possible to build strength", says Adam. Adam also provides online coaching to long distance participants. Kevin agrees that this programming style, "does still work", regardless of what people may think. He also says that he's worked with an online coach himself to prep for a bodybuilding show, and he's living proof it works, and it's not as hard as people may be lead to believe. Adam is a Marine Corp Veteran of our country and puts all he has into his business. He says it's all he does anymore and he's very dedicated to helping people gain more strength. He's worked with other Veterans, Firefighters, Police and elderly, to ensure everyone reaches their best capabilities. If you're interested in gaining strength through Adam's coaching, contact him today through his website, www.silverbacksandc.com.